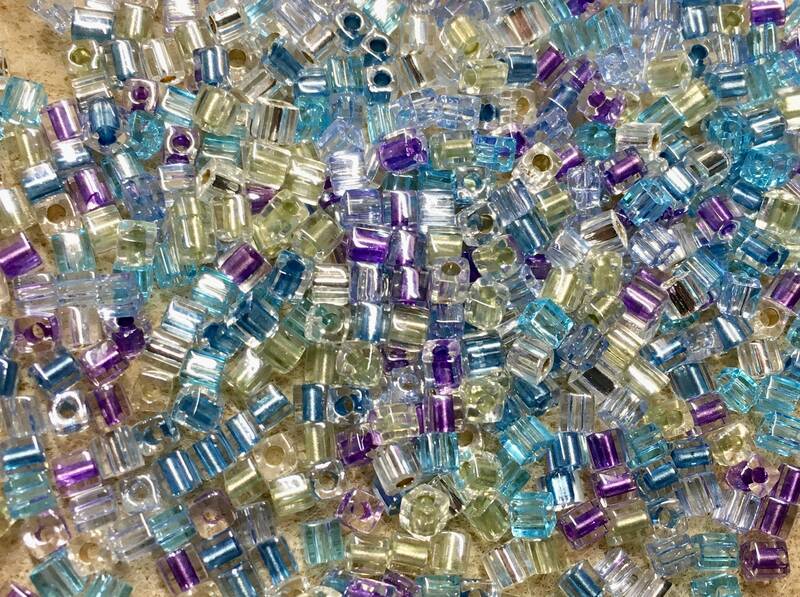 Serenity Mix Miyuki 3mm cube beads. Mix includes crystal silver lined, crystal purple lined and transparent aquamarine. 11 gram tube.